In an effort to make sure we comply with the latest Google Play policies, we have renamed "Picasa Mobile" to "PicsPro for Picasa". We apologize for any inconvenience this may cause you; we are just trying to avoid the fate of similar apps that were removed lately from Google Play. 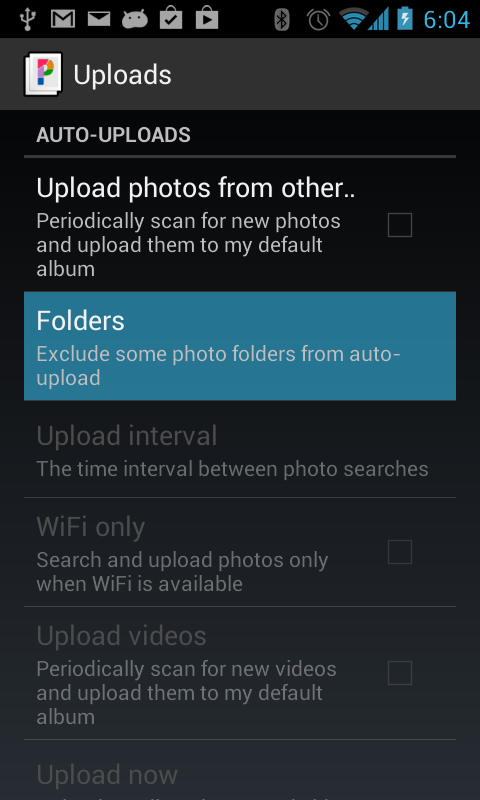 This release also include a long-awaited enhancement: the possibility of "hiding" certain folders form the auto-uploader. To access this new feature, you have to go to the app's Settings section, tap on Uploads and then tap on the "Folders" option, as shown below. 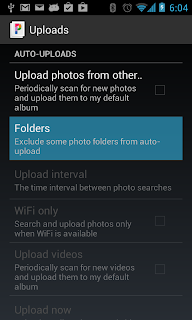 In the example above, the download folder (/storage/sdcard0/download) will be ignored by the auto-uploader.